ICBC Annual National Convention 2017 – Thank you to our esteemed partners and sponsors! November 14, 2017 admin Comments Off on ICBC Annual National Convention 2017 – Thank you to our esteemed partners and sponsors! 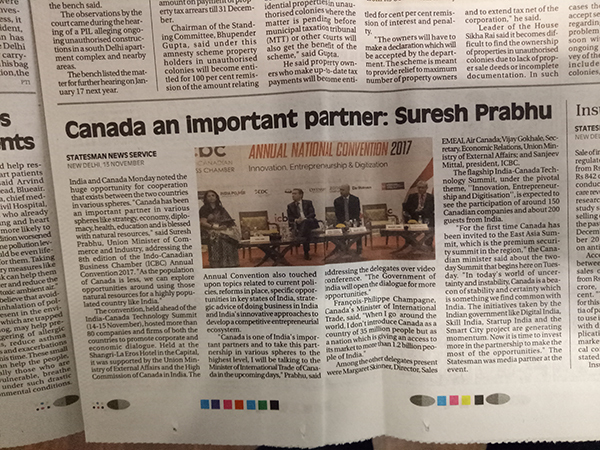 Indo-Canadian Business Chamber’s Annual National Convention in association with the Ministry of External Affairs, Govt of India and the High Commission of Canada successfully concluded this year’s Convention with over 300 attendees from Canada, India, Nepal and Bangladesh. 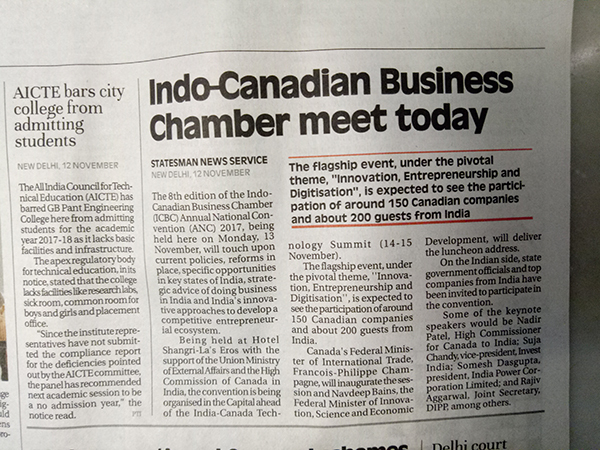 The Convention featured 17 sponsors & partners, and 3 panel sessions that covered topics on Current policies and reforms – Ease of doing business in India, Opportunities in key Indian states & Canadian Provinces, India’s innovative approach to business environments – synergies in innovation & startup ecosystems. Air Canada became the leading Platinum sponsor for the Convention. Air Canada is the flag carrier and is Canada’s largest airline Air Canada’s corporate headquarters are located in Montreal, while its largest hub is at the Toronto Pearson International Airport. Air Canada is the only international network carrier in North America to receive a four-star ranking. 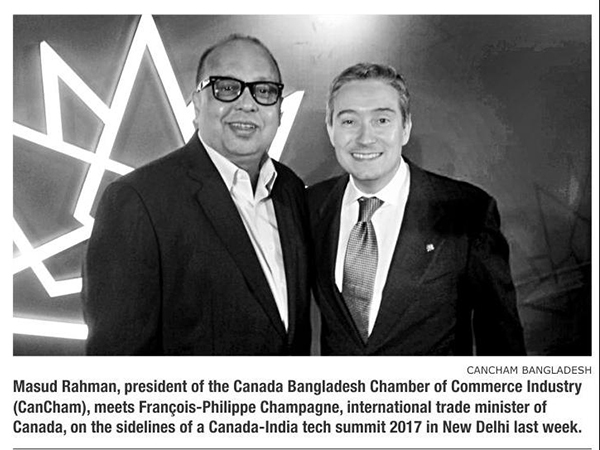 Minister Champagne said that the fact that the visiting delegation from Canada is the largest ever delegation to India and the presence of 2nd largest diplomatic staff and mission is in India, makes all the sense for the trade relations to take a huge leap in the coming years and the future of the business relations with India looks brighter than ever before. His goal will be to position Canada as a top destination for global investment and promote Canada’s economic brand. He also emphasised the crucial role of ICBC in facilitating discussions and partnerships and congratulated the tremendous success Chamber has achieved in ensuring the increase in the traction between the two countries. 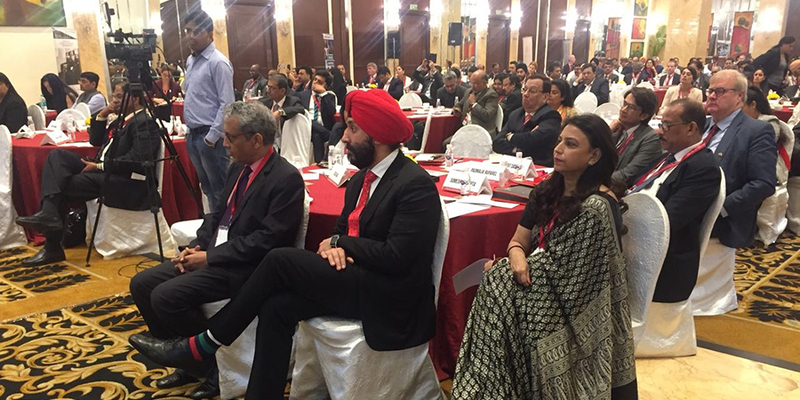 A Fireside Chat session was conducted between Hon’ble Minister Navdeep Bains, Federal Minister of Innovation, Science and Economic Development, Govt of Canada and Ms. Nadira Hamid, CEO, ICBC. Question 2 – It was just about this time last year, in Nov. 2016, when you made your first visit to India as a Minister of Innovation, Science, and Economic Development. What has been happening in Canada since then? Question 3 – Given that CA-India’s deepening business relationship, India has a lot to gain from your vision. What do you see as the fundamental foundations of the growing Canada India relationship? Question 4 Can we both come out winners? Question 5 What comes next – what are your priorities? Vijay Gokhale said that India and Canada trade relations go much beyond diplomacy and the transformation in this relation in the recent years have been exceptionally rewarding to both the countries. 20 speakers shared their insights, addressed current industry challenges and presented concepts and ideas for the future. Each session was filled with a two-way Q&A, where delegates could ask questions from the panellists. Amongst other two special addresses were from Benoit Daignault, President & CEO , Export Development Canada and Margaret Skinner, Director Sales EMEAI, Air Canada. 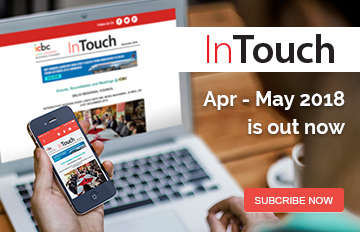 Benoit Daignault, President & CEO , Export Development Canada said – Canada and India are two very different countries, with great and different histories. And though we are also on opposite sides of the globe, ours is a strong and enduring relationship. ICBC signed an MoU with Canada Bangladesh Chamber of Commerce and Industry (CanCham) during the Convention. Mr. Masud Rahman, President, CanCham and Ms. Nadira Hamid, CEO, ICBC, signed the MoU and committed to work towards the enhancement of bilateral trade with Canada through delegation exchange, business forums and flagship events of both the Chambers. 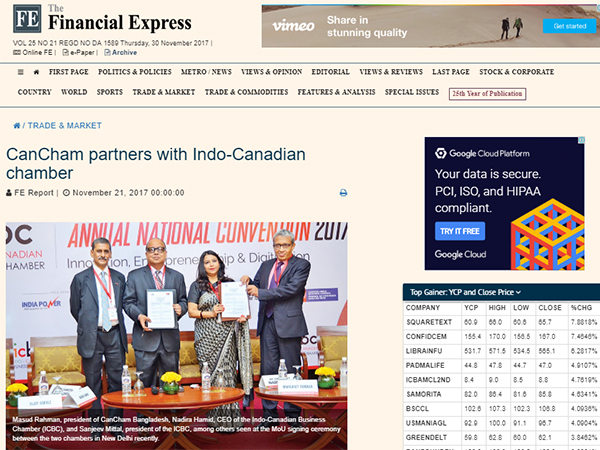 “ICBC’s Convention aims to deliver a compelling platform for India and Canada to exchange ideas, expertise, knowledge and partnerships that are closely aligned with current pressing economy trends and industry developments in both the countries. Its an honour and a privilege for ICBC today to have Minister Champagne and Minister Bains at this Convention for facilitating trade and investment between the two countries and taking India-Canada trade relation to a new height through this important forum. ”said Nadira Hamid, CEO, ICBC. ICBC’s Annual National Convention is the flagship event where the leaders of the goverments of India and Canada as well as from the industry talk about programs, inititatives, and challenges thereby creating a policy environment to enable the industry to fulfil its goals of doing business in these two countries. It is the ultimate marketplace for discussing the latest and current policies and reforms introduced by the government, opportunities available to do business in India and Canada that help industry professionals to tap these growing opportunities while showcasing their expertise, products, services and their enterprising, influential and thought-provoking thinkers and leaders in India-Canada business space.